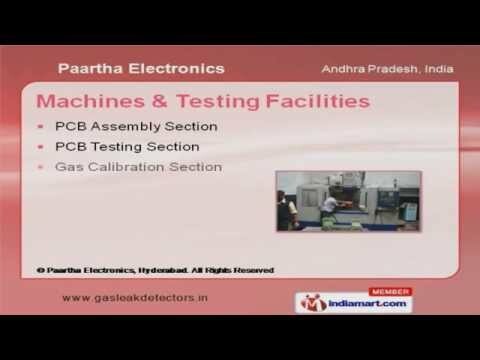 Welcome to Paartha Electronics, Manufacturer and Exporter of Precision Engineered Gas Leak Detection Systems. The company was established in the year 2005. Our Transparent dealings and Ethical business policy helps us to grab maximum customer satisfaction. Timely delivery of systems, State of the art infrastructure and Special packaging are the reasons behind our success. Bosch Limited and Parle Products Limited are some of our esteemed clients. Our Testing Facilities are equipped with PCB Assembly and PCB Testing Section. Periodic Preventive Maintenances are some of our after sales services. Easy to install and Accurate performance are the feature that make our product unique. We are specialized in manufacturing Industrial and Portable Gas Leak Detectors. Our Auto and Domestic Gas Leak Detectors are extremely reliable.